Foxtel has today confirmed Wentworth has been recommissioned for another 20 episodes. Cast gathered in Sydney this morning for a formal announcement. As recently reported by TV Tonight the Logie-winning show will now reach 100 episodes in 2021. The renewal for the show, now the longest-running one hour local drama on air, ends speculation it was being axed by the Pay TV provider. Season 7, already completed, will air in 2019 with the latest announcement to hit screens in 2020. Producers are remaining coy on whether new episodes will air as two new seasons, or one split across two years, along with which cast will return. “We never confirm or deny with those because we still have Season 7 to play out on air. But loyalty is a 2 way street. The loyalty of our cast and crew is second to none,” Porter continued. The news also follows rare dual wins at the Logie Awards and a fan outcry when speculation gathered the show may be ending. Porter acknowledged the passion from fans around the world. “It was humbling. It’s wonderful when you can see first-hand what it means to people. I liken it to reading a really good book and not being able to put it down. I think we all felt we wanted to find a way to keep the show going. We feel like there’s so much more story to be told,” she said. Production on Season 8 will begin in late September 2019 to hit screens in 2020. “The planning has started already on what will be Season 8. Without giving anything away there are still some more iconic characters from that original Prisoner lexicon and our story department is excited to dive into and find the essence of the characters. 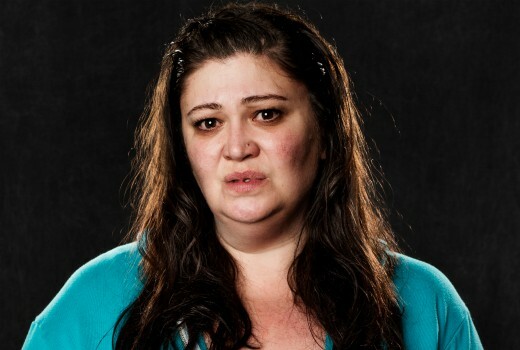 But with writers twisting and turning the storylines for modern audiences, could the renewal also see the return of favourite Wentworth characters, such as Pamela Rabe’s insidious Joan Ferguson, last sighted as dead bones? “I’ve always said ‘I never saw the DNA report!’” Porter laughed. “Some people keep telling me it’s all a dream and she will come alive again soon. But we’ve always tried to keep it earth within the rules of our world. Terrific news and yes, there are so many more stories to be told within those walls. Vera has done so well to come out of last season on top but that surely can’t last for too much longer. Can’t wait to see where it goes next. Stefano Dimera died 11 times on Days of our lives. Cant see a problem with The Freak coming back to life. That will be good news.